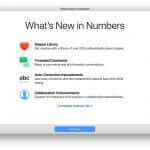 Today Apple released an update to its iWork suite for Mac and iOS which introduced brand new features for Pages, Keynote, and Numbers. One of the biggest updates is that all of the apps now have access to a new library that includes more than 500 professionally drawn shapes. From animals and nature to sports and transportation. Check it out under the “Shape” button on the toolbar. 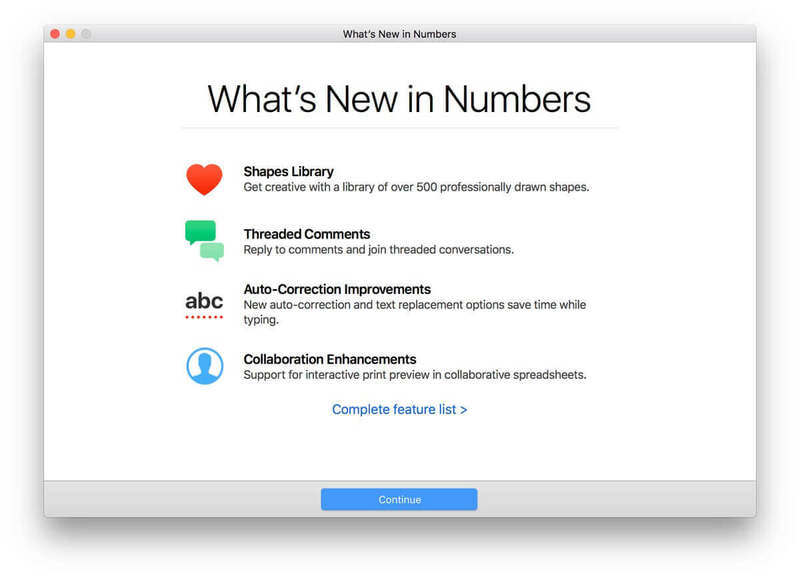 There’s a also a new feature that allows users to reply to comments and join threaded conversations with the collaboration feature that they added last year. They also introduced new auto-correction and text replacement options that are designed to save users time when typing. 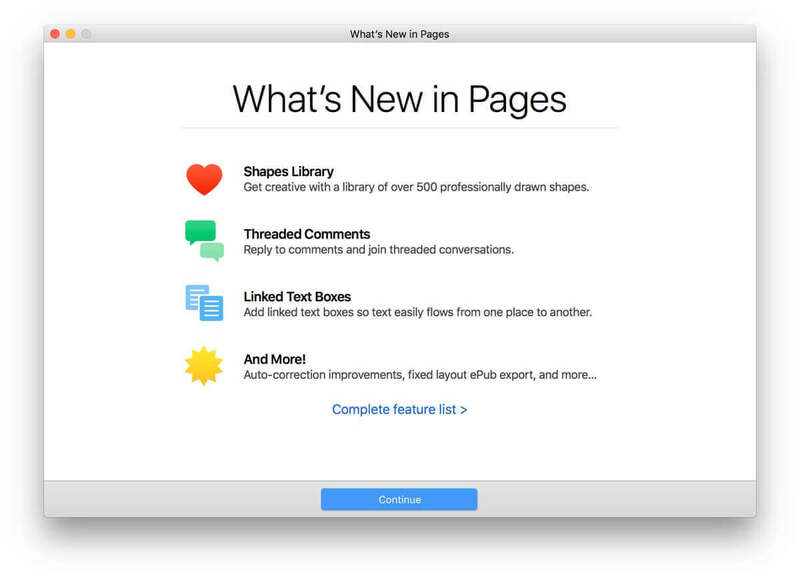 One big one for Pages, is that it now support linked text boxes, and there’s a feature allowing users to export documents as fixed layout ePub books. 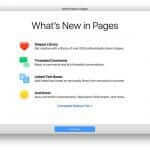 When collaborating with other users on a document, there are new options for changing margins, headers, footers, and paper size in both apps, and in Pages for iOS specifically, there’s a new page thumbnail view for better navigation. In Pages for Mac, Stock and Currency functions will now return data from the previous market day’s close. The same Stock and Currency update is coming to Keynote for Mac, and there’s also a new option to edit notes while displaying slides in Light Table view. 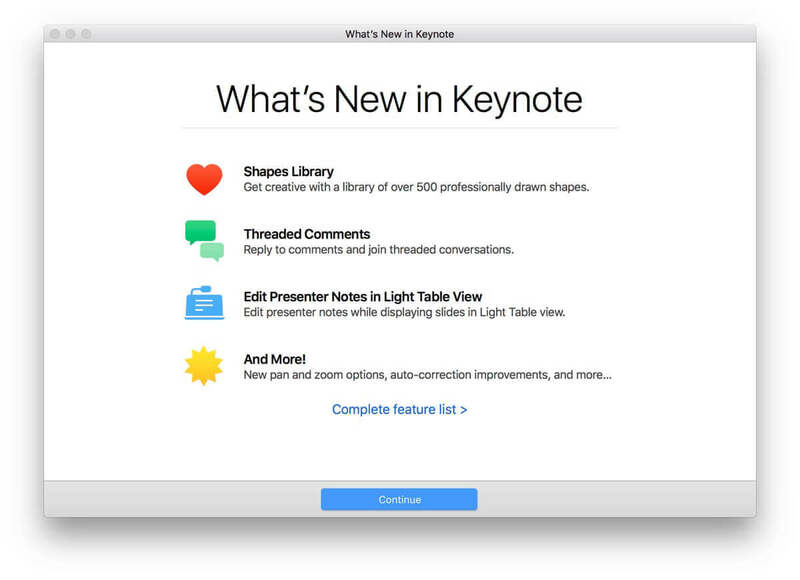 Also new to the Mac version of Keynote are new pan and zoom options. Light Table view is expanding to Keynote for iOS, and there’s an option to edit presenter notes when viewing slides. Both versions of Numbers are being updated with support for print preview when working on collaborative spreadsheets, and the Insert Stock Quote feature and the Stock and Currency functions now use data from the previous market day’s close. All of Apple’s iWork apps are available from the iOS App Store and Mac App Store for free. 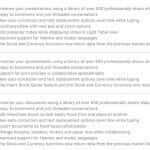 The apps have been fully free for download since April of 2017. Go get the update if you haven’t already.